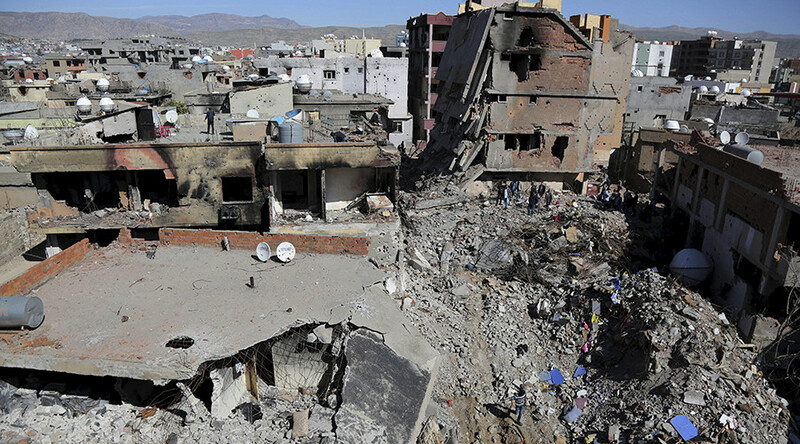 Turkey’s Human Rights Association says it has submitted a report to the United Nations detailing the mass killing of Kurds in the city of Cizre. The documents were sent to the United Nations High Commissioner for Human Rights to investigate. "I spoke to the head of the OHCHR about the Russian position and what is happening in Cizre. We have a report of what has happened there, with testimonies of eyewitnesses who survived. We submitted it to the High Commissioner [for Human Rights]," president of the Human Rights Association Ozturk Turkdogan told RIA Novosti in an interview. In March, RT submitted footage it obtained in Cizre, in the southeast of Turkey, to a number of human rights organizations, such as Amnesty International and Doctors without Borders. 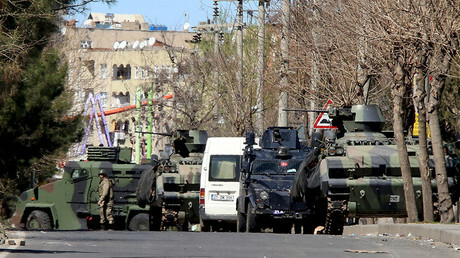 The footage documented atrocities carried out by the Turkish government against the Kurdish population in the town. One local woman told RT’s William Whiteman that between 45 and 50 people were burned alive in a building, and many of the victims appeared to have been beheaded by the Turkish troops. Despite the evidence presented, there was a lack of condemnation from the West and human rights organizations, which prompted the Russian Foreign Ministry to accuse the bodies of being “selective” in their condemnation. Zakharova also criticized international human rights groups, HRW and Amnesty International in particular, which are supposed to be spearheading the investigation, for not being active enough and their “lack of comments” on the matter. “We think that international human rights organizations, such as Human Rights Watch and Amnesty International should be the ones drawing the international community’s attention to the issue as they claim to be experts in this field,” she said. After seeing RT’s report on the plight of the Kurds in Cizre, the Russian Foreign Ministry addressed the UN High Commissioner for Human Rights’ office, asking it to investigate. “We have voiced grave concern over the report presented [by RT], and in line with your appeals to non-governmental and legal structures, we likewise alerted the UN High Commissioner for Human Rights to the matter,” Russian Foreign Minister Sergey Lavrov told journalists during a joint press conference with his German counterpart, Frank-Walter Steinmeier. 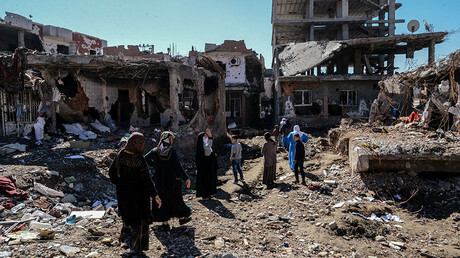 On March 17, RT launched a petition calling for a UNHRC-led investigation into claims that mass killings of Kurdish civilians had taken place in Cizre. It was specifically based on reports from an RT crew that visited the area and found shocking scenes of destruction. The RT journalists also collected horrifying accounts of atrocities committed against Kurdish civilians there. In April, the leader of the pro-Kurdish HDP (People’s Democratic Party) Selahattin Demirtas said the Kurdistan Workers’ Party (PKK) wanted to agree to a return to talks with the Turkish government a few months ago, only for Ankara to reject the proposal. "A few months ago, we were in contact with Qandil (PKK) in an effort to return to the negotiating table. The government knew that we were working for this but they rejected it," Demirtas said, as cited by Reuters. A two-and-a-half-year ceasefire between the PKK and Ankara was shattered in July. Kurdish militants are fighting for the right to self-determination and greater autonomy for Kurds – demands which Ankara rejects. Since July, almost 400 soldiers and police and several thousand militants have been killed in the conflict, largely occurring in Turkey’s southeast, according to government figures. Opposition parties say between 500 and 1,000 civilians have also been killed in the fighting. Previously, Turkish President Recep Tayyip Erdogan said members of the PKK should either surrender or be “neutralized,” stressing that the time for peace talks is over. In a speech broadcast live by the state television channel TRT, Erdogan said that counter-terror operations against PKK fighters will continue until the last militant is neutralized. The president expressed confidence that the mission would be accomplished. Erdogan went on to state that Ankara had tried to disarm PKK fighters, but those efforts had not been successful.